Natural gas prices declined last week as the Henry Hub price moved down to $4.61. That’s a decrease of 25 percent. The price for US Natural Gas was also down. Gas extraction moved down below the 5-year average. In fact, losses last week brought the monthly average down as well by 6.8 percent. 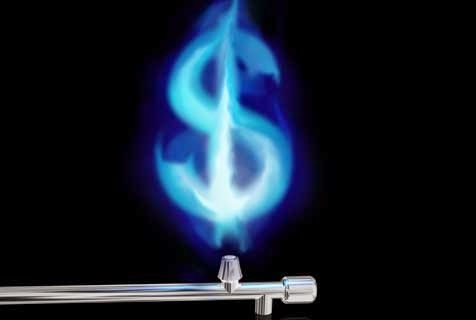 Despite the recent losses however, the price for natural gas is still high seasonally. Shares in Chesapeake Energy were down by 2.5 percent. Underground natural gas storage moved down by 95 bcf to 1348 bcf, this according to the EIA. Those are the lowest levels since May 2008. Current storage levels for the Lower 48 is currently 40.2 percent lower than at the same time last year. Extraction rates for last week were also lower than the 5-year average, a good argument for further declines in the piece of natural gas. As far a supply goes, gross natural gas production moved up by 1.5 percent last week. That’s 4.3 percent higher than at the same time last year. Imports from Canada saw declines of 14.4 percent last week. Supply here in the US moved up only slightly by 0.1 percent. If the trend continues, it should keep natural gas prices at current elevated levels. The cold weather took a break last week, but forecasts show a return to cooler temperatures soon. Demand for gas in the residential/commercial sector should remain high compared to the same time last year. As long as temperatures remain cool, demand is expected to remain high.